Alcatel, the company known for budget handsets around most of the world, are now looking to play with the top-tier smartphone developers with their new line of phones. While we still believe that Alcatel will keep making budget handsets, as the developing countries use budget handsets a lot more than the US and most of Europe do, it seems Alcatel want a try at beating Samsung and Apple. 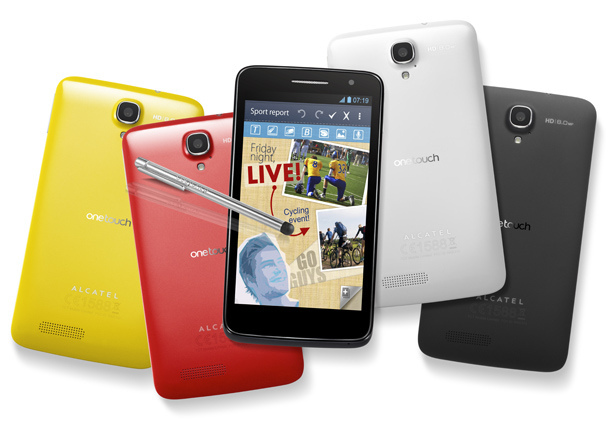 Instead of packing all the best into one smartphone, Alcatel have oddly added different best features to each device. The Idol Ultra is the slimmest smartphone in the world, at 6.45mm. The problem with the stat is the camera makes the phone size uneven. Alcatel could say they have the slimmest smartphone at a point. They don’t, technically, have the slimmest smartphone. The Idol Ultra comes with a 4.7-inch HD OLED screen, powered by a 1.2GHz dual-core processor. The design slightly outweighs the power on this device and we suspect this is for the people that like to flaunt their phones’ looks, rather than run a lot of applications on it. This is the larger Galaxy Note style smartphone, at 5-inches, it is a little smaller than the Note and taller than the other two smartphones on offer. The price of the One Touch Scribe HD will be significantly less than the Galaxy Note II, apparently. 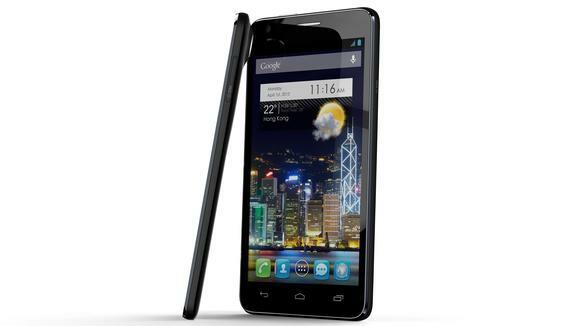 The smartphone comes with a quad-core processor, although Alcatel have not confirmed how fast the chip is. We suspect it will be 1.2GHz or a little less, with the cheaper design and finish. 4G will work on this device and we see this as the better performer of the three. Quad-core processor, 4G, larger screen and more battery life are all signs of a better performer. At 110g it goes up against the iPhone 5, Samsung Galaxy S3 and other top smartphones. 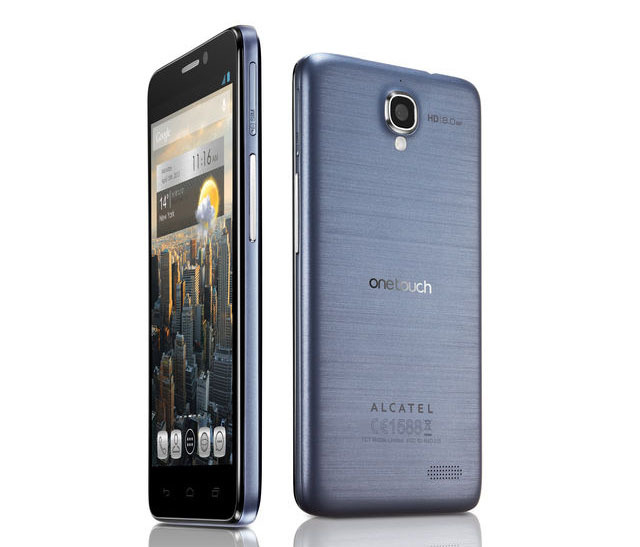 The iPhone 5 is a little smaller and may be discounted by Alcatel in their “category” base, although the One Touch Idol is 2g lighter. This phone has most of the same specs as the Idol Ultra, apart from the screen technology for this phone is IPS LCD instead of OLED. The phone has premium metallic brushes on the back. These both haven’t been announced yet. Alcaatel say sometime in 2013, they will be released. We are positive Alcatel will be able to bring the price down to a competitive level.